If you are facing any issues related to your residential or commercial property or a business dispute, weurge you to let us be of service to you at The Law Offices of Robert R. Shiri, APC. Over the years we have built a reputation based on providing favorable verdicts forour clients. We are familiar with the intricacies of property law and understand the urgency involved in these matters. At The Law Offices of Robert R. Shiri, APC, we understand that you possess an innate desire to protect your real property rights and to maximize your investment. Mr. Shiri possesses the prowess that stems from years of experience and hard work to help you out in any case. He is well versed with the formalities involved in a litigation of this nature. If you are facing any issues related to your residential or commercial property or a business dispute, we urge you to let us be of service to you at The Law Offices of Robert R. Shiri, APC. We specialize in all Santa Monica property disputes. Real property is a substantial investment. When you own it, you want to protect it. When you buy it, you want to know you made a good investment. Unfortunately, property disputes arise all the time. 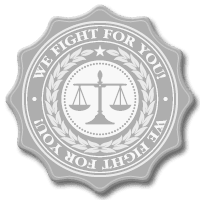 We fight to protect our clients’ interests and investments. Additionally, our firm works with professionals and businesses that need help working through a real estate matter. We know the law, and we will give you personalized, individual attention in order to collect the maximum amount of compensation and damages that are available to you under California law. If you, or someone you know, has a property dispute and is need of a property dispute lawyer, call our office immediately (310) 829-9943. We understand the unique needs of property dispute litigation and will work to make the litigation process as comfortable as possible. All consultations are free, and we always work on a contingency basis, so you do not pay anything until we win your case. It comes down to experience, comfort level and results. Count on a Santa Monica property disputes lawyer who will work hard for you to bring your personal injury case and make a difficult situation easier to bear. Contact the Santa Monica personal injury lawyer team at Robert Shiri Law Offices APCtoday for a free consultation and advice about your case.